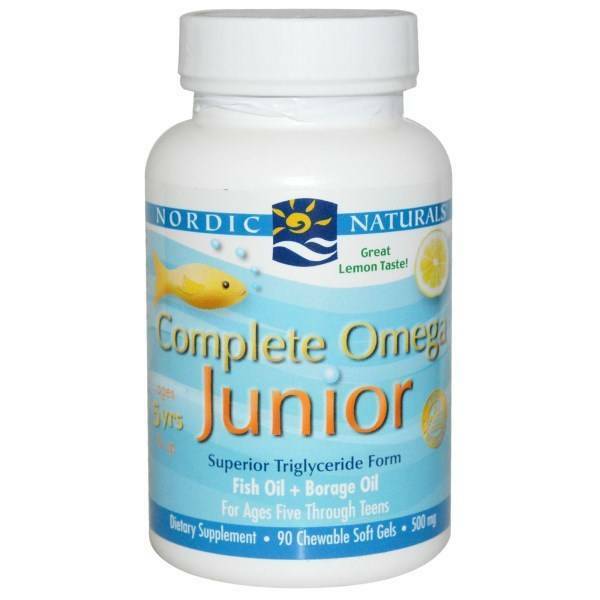 Amount Per Serving % Daily Value * Calories 9 Calories from Fat 9 Total Fat 1.0 g 2% Saturated Fat 0.2 g 1% Trans Fat 0 g † Omega-3's 283 mg † EPA (Eicosapentaenoic Acid) 135 mg † DHA (Docosahexaenoic Acid) 90 mg † Other Omega-3s 58 mg † Omega-6s 123 mg † GLA (Gamma-Linolenic Acid) 35 mg † Omega-9s 122 mg † OA (Oleic Acid) 92 mg † *Percent Daily Values are based on a 2,000 calorie diet. Purified deep sea fish oil (from anchovies and sardines), soft gel capsule (gelatin, water, glycerin, natural lemon flavor), borage seed oil (borago officinalis), natural lemon flavor, d-alpha tocopherol, rosemary extract (a natural preservative). No gluten, milk derivatives, or artificial colors or flavors. Non-GMO.